From Karl Lee Avery via Facebook. We also espy a familiar red Korg Mini Kaoss Pad. We have one of those around here somewhere. 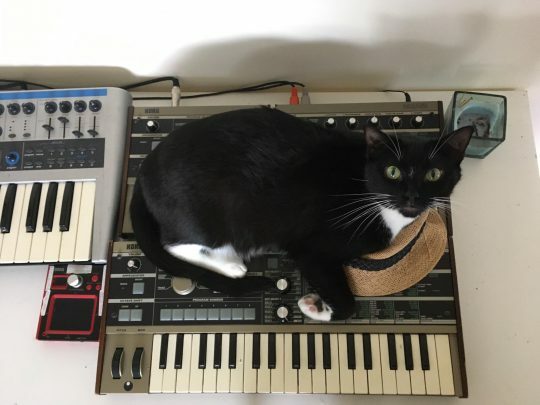 Posted on June 12, 2018 by catsynth	This entry was posted in Cats, Synthesizers and tagged cat, karl lee avery, korg, Synthesizers, tuxedo cat. Bookmark the permalink. What? You caught me mid inspiration I was SO about to write that down!! !